Work has begun on the redevelopment of grade-II listed offices in Bradford into luxury apartments and a ground floor commercial space. Priestley Construction, the Leeds-based contractor which specialises in the refurbishment of historic buildings, is completing an estimated £480,000 transformation of the 6,332 sq. ft. stone building, located at 12 Piccadilly in Bradford city centre. 12 Piccadilly was acquired in March 2017 as part of a joint venture between developers, Muniment and Immedi-let. A total of 15 studio apartments will occupy the second and third floors of the three-storey former bank, with Priestley Construction combining original features with new, high specification details. The ground floor space will comprise fully managed, self-contained offices for local businesses to rent. 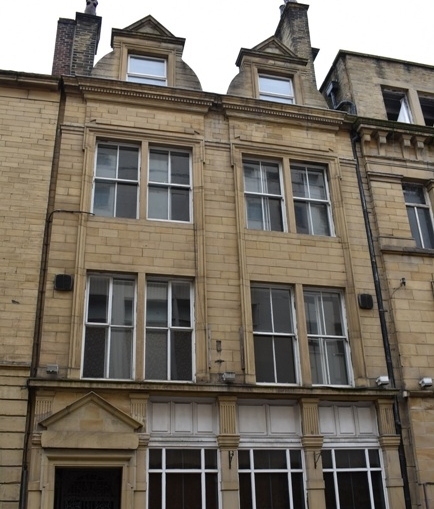 The building, which is situated in a popular office area within Bradford city centre, is close to amenities, shopping and transport links. A six-month programme of work is anticipated to be completed in November 2018. Once finished, the apartments are being retained by the developers for the rental market, aimed at young professionals in particular. Danny Inman, director of Immedi-let, said: “Bradford’s regeneration is going from strength to strength and a residential development of the stature and quality of 12 Piccadilly will play a key part in attracting a new generation of residents to the city centre.